The Follow-Through is often overlooked, but I feel it is an extremely important component of a properly swung golf club. The Follow-Through is the finishing indicator that the club swung through on its proper path and arrived at the final destination in balance and rhythm. 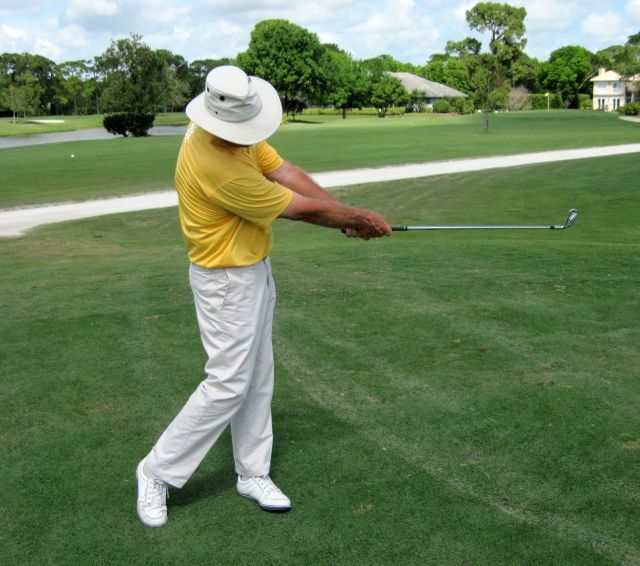 The backswing creates power by turning the body (shoulders and hips), swinging the arms back to top of the swing, shifting the weight, and cocking the wrists. The downswing is an acceleration and unloading of the stored power that was created on the backswing that reaches its maximum at the ball. But what happens then? There has to be a place for all this energy to dissipate and slowdown. 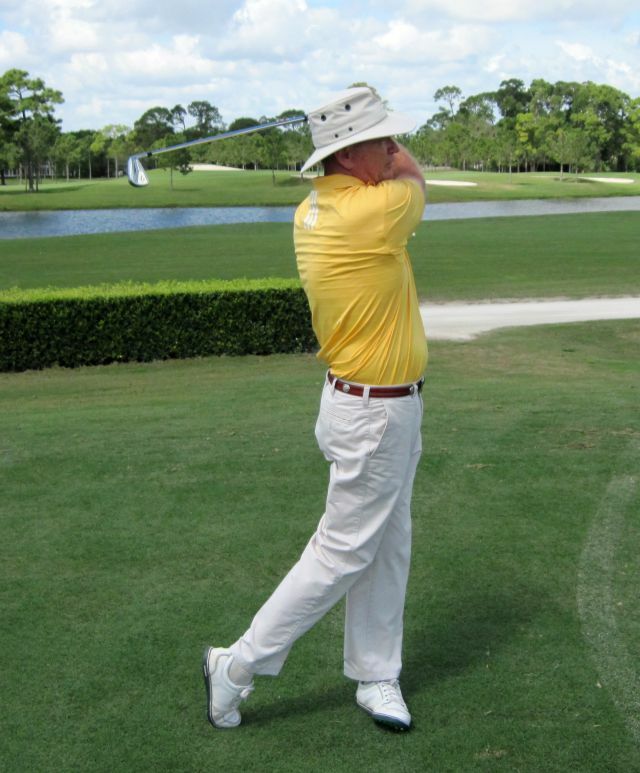 Simply put – The Follow-Through is getting the body out of the way so the club has a path to slow down naturally! 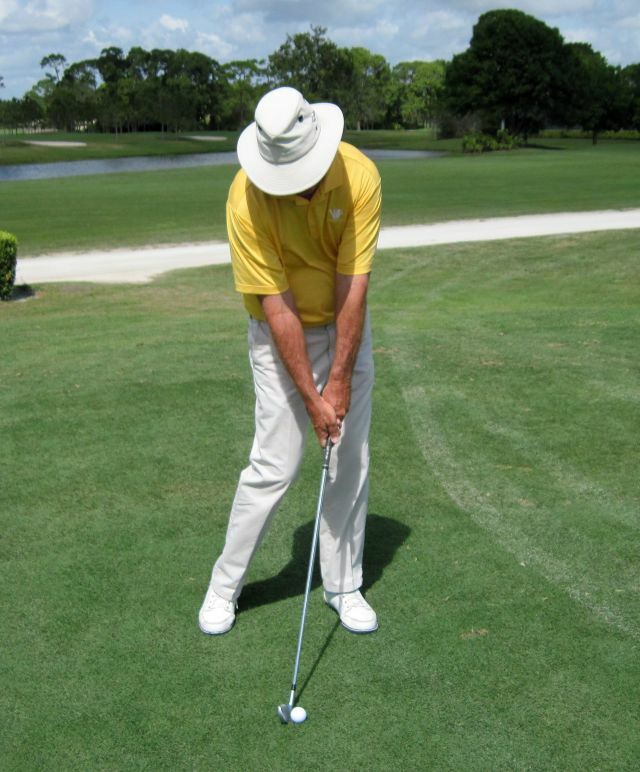 If you do not clear your hips and body the club will not follow the path of least resistance (correct path) and will divert in a different direction. This will result in slower clubhead speed, having the body blocking your swing-through resulting in errant shots, or having to get your hands involved to square the clubface. If you do not clear the body, the mind will know that it is going to hit a brick wall (because the body’s in the way) and will slow down to prevent hurting yourself. 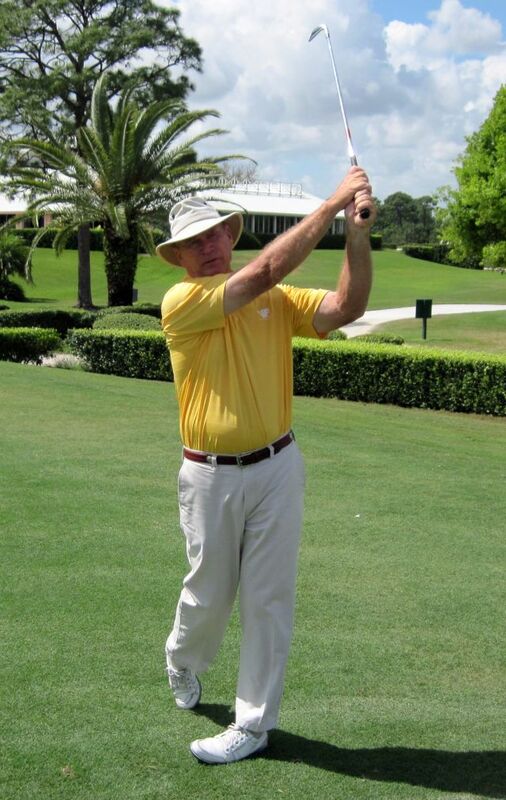 By concentrating on getting to the proper finishing position, it will naturally allow you to swing freely through and not disrupt the flow of the golf swing. At impact the club is traveling it’s fastest, the weight is moving over to the front foot and the body is clearing. Here are four great examples of the position at impact. Now see where the body and club are at halfway through. That’s a lot of turn in a short amount of time. Then the momentum will carry the club to the balanced finish.